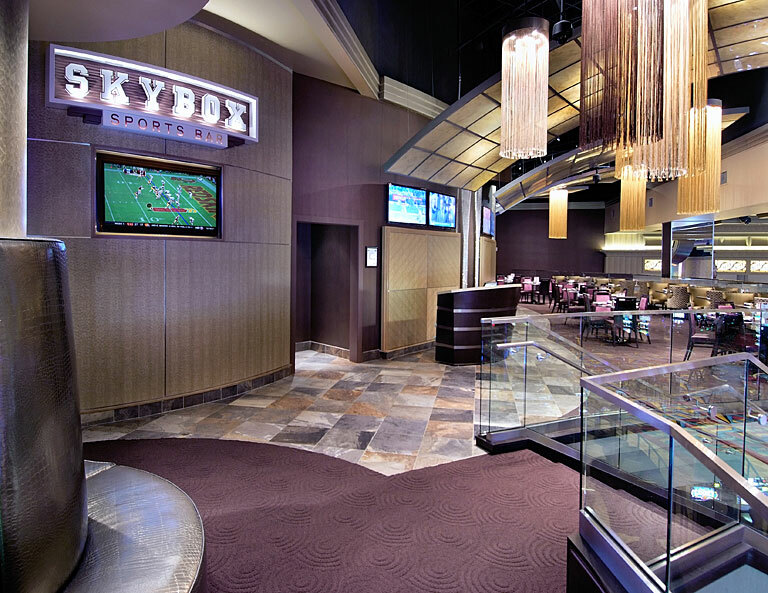 Urban Design Group served as the architectural firm for the Sky Box Sports Bar and H Lounge for the Hollywood Casino in Charles Town, WV. The new dining and entertainment venues were profiled as the Facility Design Project of the Month by Foodservice Equipment & Supplies. 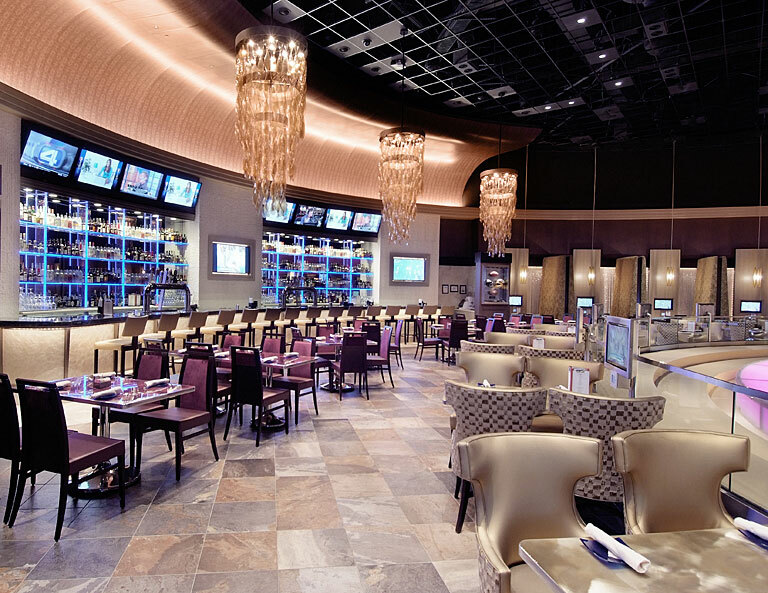 Urban Design Group served as the architect for the sports bar and lounge at the Hollywood Casino at Charles Town Races. The newly-designed sports bar and lounge at Hollywood Casino in Charles Town, WV was featured as the Facility Design Project of the Month by Foodservice Equipment & Supplies (FES). 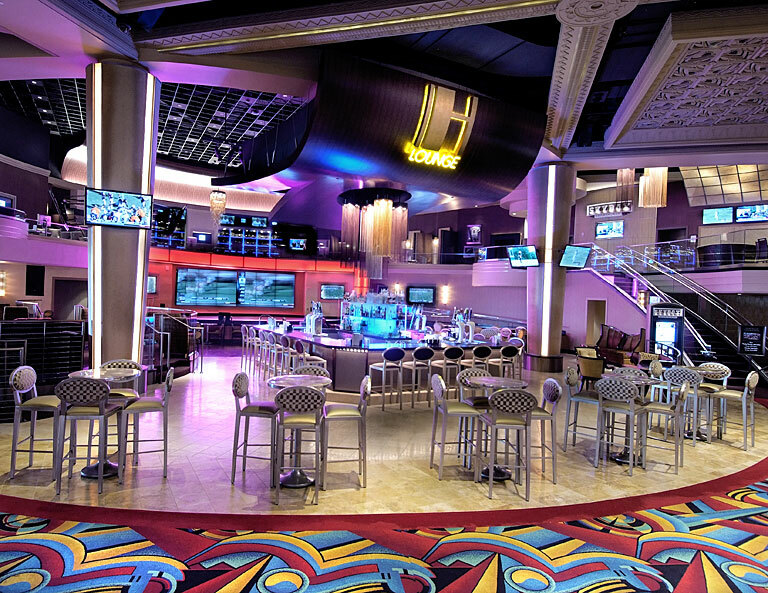 Urban Design Group served as the architectural firm for the Hollywood-inspired sports bar and lounge strategically perched above the casino floor. The new Sky Box Sports Bar and H Lounge opened in July 2011. 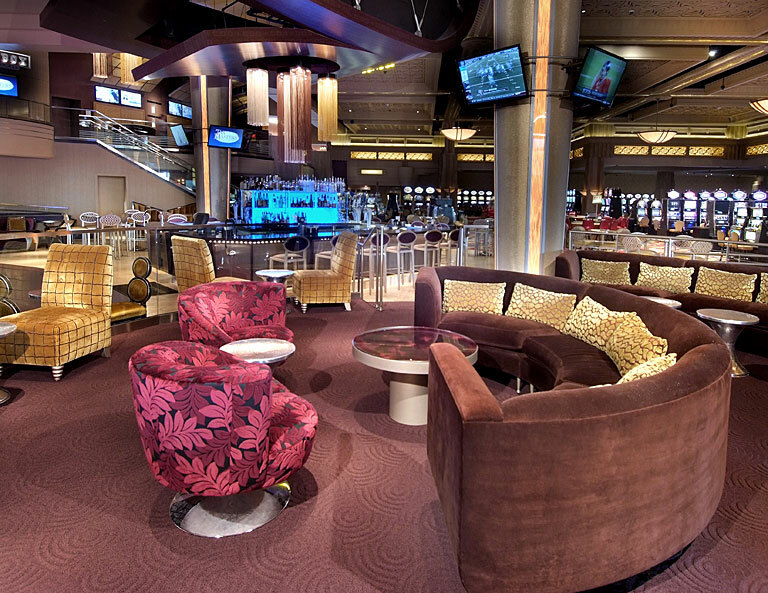 The 8,000-square-foot Sky Box Sports Bar is located on the upper level, overlooking the casino floor and the lounge. The sports bar includes a restaurant, full-service bar, more than 50 TVs and comfortably seats 177 guests. The H [Hollywood] Lounge, sits on the lower level and seats 165 guests. The H Lounge features signature cocktails, live entertainment, karaoke, DJ’s, dancing and an 18-foot video wall. Urban Design Group (architect) worked with Genesis Associates (interior design) and Theodore Barber & Company, Inc. (foodservice design) to incorporate Penn National Gaming’s Hollywood theme into the contemporary sports bar and lounge. Hollywood Casino at Charles Town Races is located at 750 Hollywood Drive, Charles Town, WV 25414. For more information, please visit http://www.hollywoodcasinocharlestown.com. Foodservice Equipment and Supplies (FE&S) is a media source for the entire foodservice industry including equipment and supplies manufacturers and service providers such as foodservice operators, E&S dealers and facility design consultants. FES conducts research and develops exclusive content for print, digital distribution, and custom presentations that meets the needs of their audience. FES covers trends and topics including featuring a Facility Design Project of the Month/Year. For more information, please visit http://www.fesmag.com. Penn National Gaming, through its subsidiaries, owns, operates or has ownership interests in gaming and racing facilities with a focus on slot machine entertainment. The Company presently operates twenty-six facilities in eighteen jurisdictions, including Colorado, Florida, Illinois, Indiana, Iowa, Louisiana, Maine, Maryland, Mississippi, Missouri, Nevada, New Jersey, New Mexico, Ohio, Pennsylvania, Texas, West Virginia, and Ontario. In aggregate, Penn National's operated facilities feature approximately 29,000 gaming machines, approximately 600 table games, 2,400 hotel rooms and 1.1 million square feet of gaming floor space. Urban Design Group offers architectural, interior design and urban master planning services to its worldwide clientele from studios in Atlanta, GA, and Dallas, TX. A market leader in the application and advancement of Building Information Modeling (BIM) technology, UDG's personnel work on a wide range of projects from hospitality, resort and gaming design to corporate, urban mixed-use and university facilities. In the firm's 36-year history, Urban Design Group has completed more than $6 Billion dollars in projects worldwide. The firm has received more than 80 design excellence awards and honors, 15 design competition awards and has been featured in hundreds of magazine articles, newspaper pieces and design resource books. For more information, please visit http://www.urbandesigngroup.com.